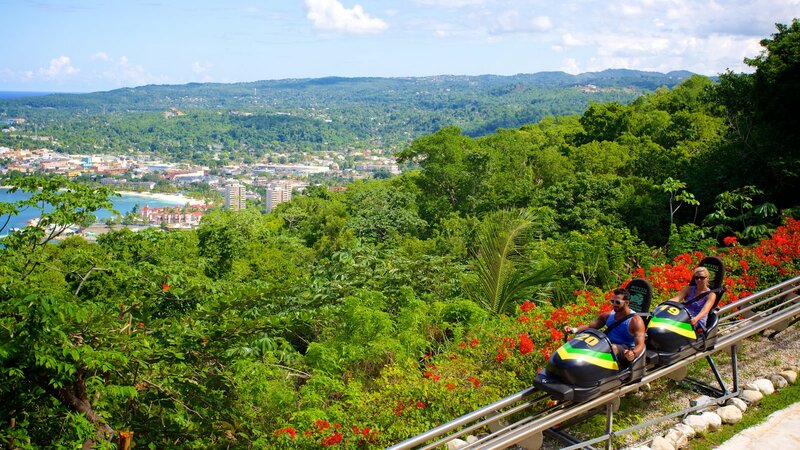 Mystic Mountain is located in Ocho Rios, Jamaica, a town made for family fun adventures and awesome group activities. Rainforest Bobsled Jamaica at Mystic Mountain boasts over 100 acres of land all geared towards ensuring you have a great time, near the world famous Dunn’s River Falls. Only at Mystic Mountain can you see over 16 different species of Hummingbirds in their natural habitat. This environmentally friendly attraction for all ages provides ample opportunities to view and explore the unique seaside and tropical forest ecosystem with three exhilarating and unique excursions including the Sky Explorer, Bobsled Jamaica and Tranopy Tours. Mystic Mountain offers group activities for all tastes. Take the family to splash around in the pool and slide down the water slide high above Ocho Rios with views of the town and bay below. Say ‘I Do’ in the hills overlooking the town, or simply enjoy an evening of cool live music on every full moon after enjoying a three course dinner and zipping through the canopy of trees in the moonlight.